If your son has started to show an interest in dance, enroll them in the boys hip hop class at Fancy Feet Dance Studio. Our fun and energetic hip hop classes are all about style and musicality. In this dance class, your child will learn some classic dance moves along with the urban street style of dance that is popular today. Looking to inspire your child through movement and dance? Signing your little one up for a children’s hip hop dance class will not only inspire them creatively, it will give them an opportunity to move with their body and emotions. Hip hop dance classes, especially the ones at Fancy Feet Dance Studio, are high-energy classes that involve a significant amount of cardiovascular activity. If you want to get your child off of the couch and out of the house, enrolling them in a children’s hip hop dance class will push them to work their bodies and minds. As your child learns complex dance routines, they’ll be working to improve their flexibility, coordination, balance, and stamina. The health benefits of a children’s hip hop dance class aren’t just physical, they’re mental as well. Numerous studies have found that exercise helps relieve stress. Whether your child is riding a bike, playing basketball, or participating in a dance class, they are taking the necessary steps to lower their anxiety levels and lessen symptoms of depression. If your child is shy or they have a hard time being around other children, enrolling them in our children’s hip hop dance class is a great way to socialize and meet new friends. The children in our dance classes come from all over New York, and our dance studio offers a safe space for them to be themselves. Hip hop is a favorite dance form among children in New York. This style of dance was developed from several different cultures and includes fragments of jazz, tap, rock, and even Latino cultures. The 1970s were internationally recognized for hip hop dancing along with rap, scratch music, and graffiti art. 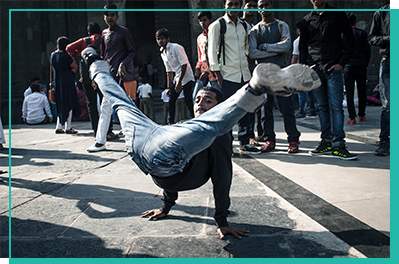 Dance styles such as Locking, Popping, and Breakdancing (also known as B-boying) all emerged at that time. Let’s take a closer look at these unique dance styles below. Also known as ticking, locking and popping is a style of dance that was created in Los Angeles. Popping was created by a street dance crew called Electric Boogaloo, while locking was a fun dance that originated from a group called The Lockers. Locking was created in the 1960s by Don Campbell. This style of dance was often performed to traditional funk music. The name of the dance is based on the concept of “locking,” which means to freeze from a fast movement and lock in a dance position, holding that position for a short time and then continuing to dance at the same pace as before. Popping is another fun dance style that became popular in the 60s and 70s. The best way to describe this movement is to envision a force of energy going through someone’s body. This results in a wave-like movement that takes a good amount of practice from a technical perspective. You’ve probably heard of breakdancing, or b-boying, before. This is an innovative form of dance that rose up as a part of the hip hop culture among Black and Latino American youths in the South Bronx. There are four main elements to breakdancing. Let’s take a look at them below. Toprock – this term refers to dance moves performed standing upright. Most upright dance moves and shuffles rely on balance, flexibility, coordination, and rhythm. Footwork – the foundation of footwork takes place on the floor. The dancer will either be on his or her hands and knees, moving their body across the floor. 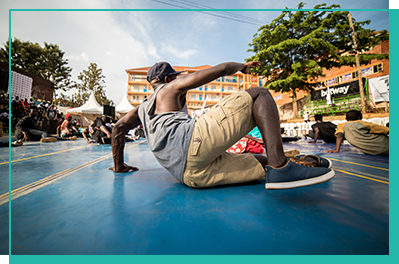 Freezes – the best way to finish a breakdance routine is with a freeze. Similar to popping, to freeze in a dance move means just that: to completely stop what you’re doing and stay in the pose you’re in. Power Moves – as their name suggests, power moves are intimidating dance moves used to intimidate the competition. They are also known as “show off” moves, since they are very difficult to master. 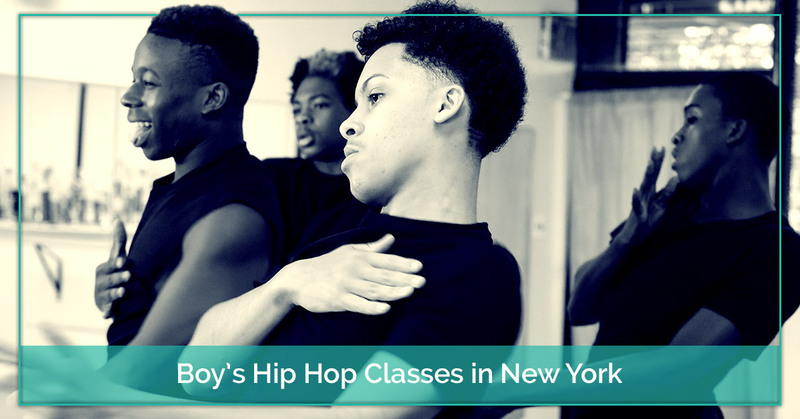 If you’re looking for a reputable dance studio in New York that offers boy’s hip hop classes, enroll your child at Fancy Feet Dance Studio today. Our dance classes are for children of all ages and experience levels, and we offer much more than hip hop classes. You can enroll your little one in a jazz dance class, gymnastics, ballet, tap dance, and more. We have four unique dance studio locations in Allerton, Crosby, Fleetwood, and Unionport.